Parent - We have used Trussell Driving School for both of our teenage daughters and we have been so impressed with the results. Trussell Driving School really does a great job of teaching the importance of personal responsibility when it comes to getting behind the wheel of an automobile. 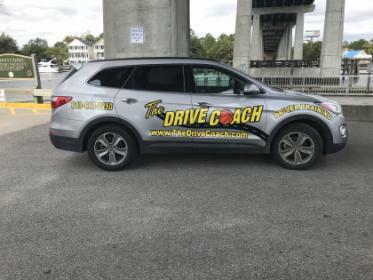 They take the time to teach young adults in a very one on one individual way that really has made both of our daughters responsible and safe drivers. We have one more daughter that's getting close to driving age and we will definitely be bringing her to Trussell Driving School. Parent of Morgan R - The parent meeting was very informative and well organized. I appreciated the emphasis on the importance of parents setting the example for proper driving skills to our new drivers. My child enjoyed the lessons and extra driving time. Great expierence! Parent of Dawson T. - Big shout out to my friend James Trussell and the entire group at Trussell driving school. 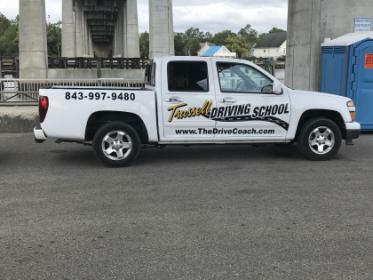 I highly recommend this company if you have a teenager in Myrtle Beach or Florence and need your teenager to get driver training. Thanks James for assisting in teaching both my boys the correct way to drive! Parent of Taylor M. - Very professional business, loved the communication with the student and parents. 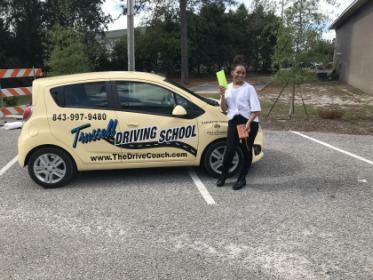 Parent of Katelyn P. - We had a great experience with Trussell Driving School. As a parent this is one of the scariest times, putting your child behind the wheel of a vehicle. However, when our child completed the Trussell Driving School we knew she was ready to become an independent driver. They are very detailed and knowledgeable on their instruction. They will not pass their students (even if the class has been completed) if they don't feel the student is ready to become an independent driver. Our instructor was, James Trussell he is WONDERFUL!! Can't say enough good things about Trussell Driving School. Parent of Georgia L. - I have now had 2 of my children trained by Trussell Driving School and would, without a doubt, recommend Trussell Driving School to anyone who has a child about to begin driving. As much as we think we are teaching our children the "Proper" way of driving PRIOR to their professional training, we sometimes teach out of HABIT - which isn't always the correct way. I taught my children the "basics" of driving ... but my children picked up many new "tidbits" of driving that I had forgot to mention.. or the opportunity hadn't presented itself while my children were driving with me and therefore, we never discussed. Many situations arise that parents don't think or remember to go over with children and Trussell Driving School did. We had many interesting discussions when my daughter would arrive home after each lesson. She would actually "Quiz" me on information she learned. Great Driving School!! Parent of Keala & Kai K. - Excellent class with amazing instructors. My daughter attended first and my son attended second. I would recommend this school to anyone! Thank you Trussell for teaching our children the "right" way! We are at peace of mind knowing you were their instructors. Parent of Jarrett L. - Trussell Driving School did wonders for our son. We are beyond please with the results. The instructors are very professional and courteous. I would highly recommend Trussell Driving School. Parent of Taylor S. - Your team was awesome. You folks worked around my families hectic schedule and with short deadlines you made it happen. Thanks again. Parent of Jacob F. - The Trussell Driver's School is an excellent program. Angel W. - I'm 26 years old and had little experience driving. I took 6 hours of training and I cannot tell you enough great things about the owner and his instructor! They did an amazing job reassuring me and explaining everything. I took the test to get my license with them after my training and I passed! I highly recommend Trussell Driving School! It is worth every penny. I'm just sorry I didn't find them sooner! Thank you so much Mr. John Trussell, you are amazing! I so appreciate your patience and everything you taught me! Parent Quote: "Great experience. Friendly and convenient. Keep up the great work!" Parent Quote: "We are from Florence but are in the NMB area a lot so we took the class and some of the lessons their and in Florence and we really appreciated the way you guys worked with my family and helped us feel much safer with our daughter as a new driver Thanks"
Parent Quote: "Thank you for valuing my child and equipping her to be the safest driver on the road. Her instruction has already spared her a collision with a vehicle that ran a red light at a busy intersection. When my daughter's light turned green, she paused and looked both ways as Trussell taught her to do. She saw the oncoming car and knew that it could not stop for the red light. After the car ran the intersection, my daughter was able to continue her journey unharmed." Parent Quote: "We love Trussell Driving School! Both of our kids went through it and always wonderful!"